People have different sleeping preferences, so they shouldn’t be using the same pillow. That’s at least what L Pillows believes. This new, luxury pillows are made to order to fit your needs. Are you a side sleeper? Prefer softer pillows? Want more texture? The L Pillow takes basic information about your sleep habits and creates a pillow that works just for you. I was excited to get my hand (and head) on my own custom-made pillow. Keep on reading to learn if it’s an investment you want to make as well! In order to have a pillow custom-made, the first thing The L Pillow asks is for you to select your sleeping position. (They even explain it by saying the position you wake up in is typically “your” position.) Then, you select your preferred thickness and fabric preference, and add in other details like weight, specific neck pain, back issues, and any other information you think might be helpful. After that, it takes their team 1-2 business days to make it, and then another three days to have it delivered right to your door. 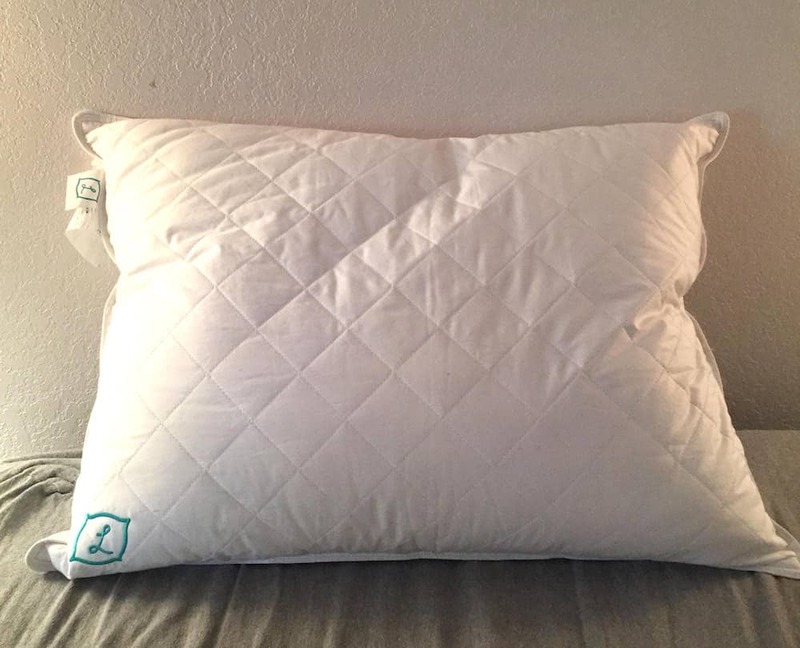 For my pillow, I chose the quilted fabric option over plain/sateen, and felt like that, plus the double-stitched construction, created an extra sturdiness that complimented the pillow’s softness. 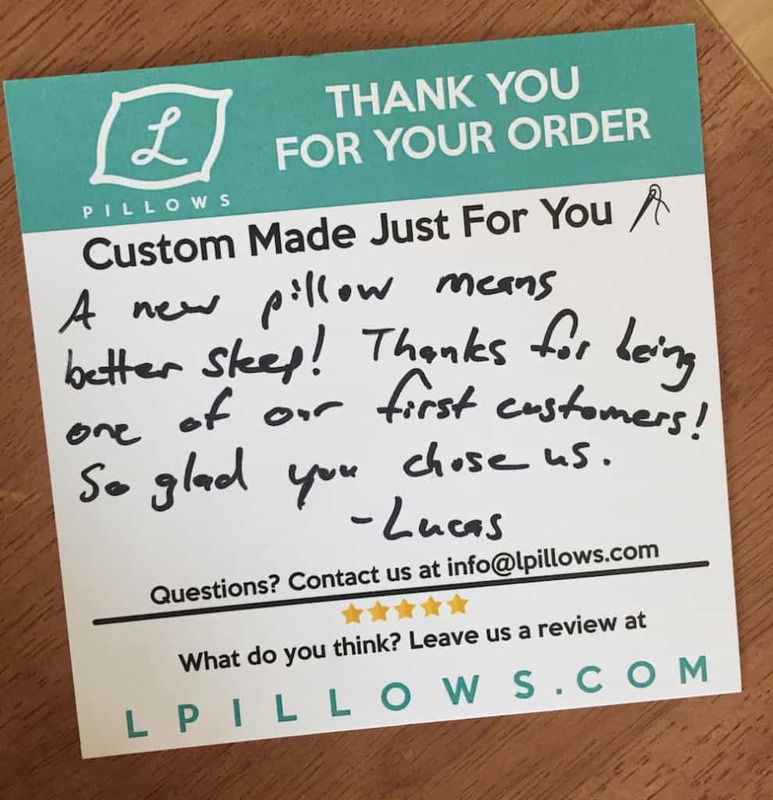 Materials made in the U.S.
My experience of The L Pillow started on the website. If you head over to their shop page, you have to fill out a few pieces of information in order for their team to construct my “perfect” pillow. I filled out my sleeping position (side), preferred pillow thickness (thick), and fabric (quilted). Once I added it to cart, I also had the option to include my weight (which I did) and any history of neck and pain (I noted lower back issues). I was pumped to see that it was free shipping and free returns for all domestic orders, another nice touch. Within five days, my custom pillow arrived. The packaging was really thoughtful, and even came with a handwritten note from one of L Pillows’ teammates. So far, so good. I can confidently say this, that I absolutely loved it the moment I put my head down. It was just the right amount of thickness and sturdiness, but still had a soft, smooth, and breathable quality. It was a little unexpectedly tall, but I found that the added height helped support my neck. Somehow, L Pillows is able to create something that’s squishy, yet firm, soft but also supportive. I loved the texture of the quilted fabric, so much so I didn’t want to put a pillow case on it! As a side sleeper, I usually find myself needing to adjust my pillow throughout the night. This pillow needed zero adjustment throughout the night and kept its shape really well. I even swapped out my others pillow (I usually need to sleep with two) to just the L pillow. Need I say more? So the jury is still out if they nailed the customization and built a pillow that fit me perfectly, or if they just happen to make really, high-quality pillows and I lucked out as a consumer. Either way, I’m sleeping like a rock, which is probably what matters most. Overall, it sounds like people feel similarly to me: It’s a darn good pillow. It’s no secret I’m a big fan of The L Pillow. Here are some specific reasons why you should give this pillow a shot. You have 50 bucks: Do you have $50 spare dollars? Seriously. For a custom made pillow, this is a competitive price, and one that’s worth the investment. 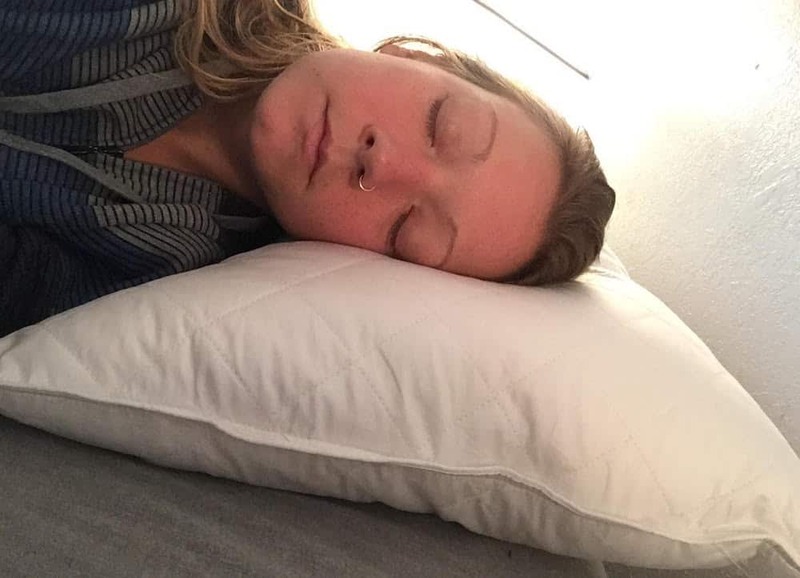 You don’t like your current pillow situation: Many of the reviews I read, along with own personal experience, led me to understand that a lot of people are picky sleepers and yet constantly fight with their pillows each night. If you’re in a bad relationship with your pillow—get out of it! And try something new—The L Pillow— that could fit your actual needs. You want to experience something fun: The whole experience, from customizing your pillow, to opening up the package, to sleeping, is actually pretty exciting. And…we’re talking pillows. Pillows aren’t supposed to be fun, and yet L Pillows makes it a cool experience.